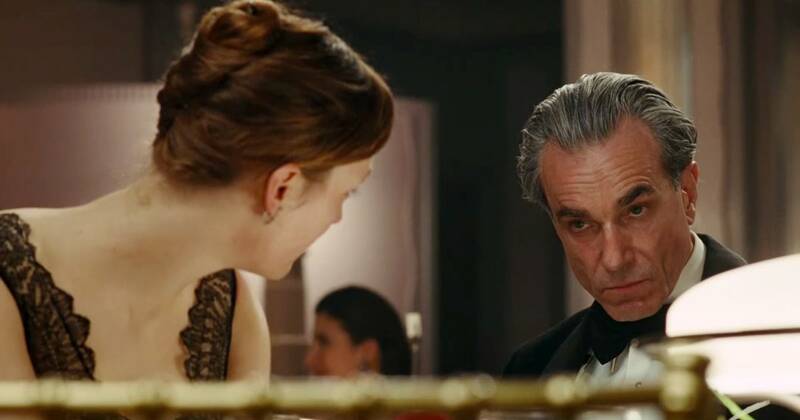 Phantom Thread Movie Review: Challenging, yet deeply fascinating drama! Ambiguity. I wouldn’t be surprised if that’s Mr. Anderson’s favourite word in the dictionary. The American director, often held as one of the best of his generation, has a penchant for creating a cinematic world which is at once captivating and mysterious. While watching his films you are never really sure of what kind of people his characters are or what they would do. Neither can you predict the direction in which the film is going, but, nevertheless, you are smitten by whatever is unfolding on the screen. It’s like going on a long, slow ride through the countryside, so lost in the sensory pleasure derived from the scenic beauty around, that you don’t really bother about where you are heading. You blindly trust your driver to take you to a destination that would certainly be worth the ride. 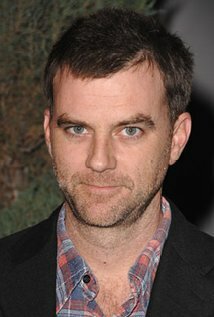 PTA’s new film Phantom Thread is in many ways reminiscent of The Master. It not only carries the same peculiarities of cinematic form, but shares a lot of the plot elements too. Both the films, set in the 1950s, are about an obsessive middle-aged man, who seduces an admirer into his world, and this admirer then turns this world upside down. But if The Master comes across as a tragedy, this Daniel Day Lewis and Vicky Krieps starrer is more like a darkly-comic gothic romance. Reynolds Woodcock is a cold, narcissistic and almost neurotic fashion designer with a splendid reputation. He counts among his clients the royalty of Europe. His sister Cyril works behind the scene to ensure that their business functions in exactly the same precise manner as her madly perfectionist brother wants. Reynolds, once he has managed to squeeze the last drop of inspiration, unceremoniously dumps his muses and goes on a hunt for a new one. But his latest muse Alma – a lowly waitress in a country restaurant – has enough pride so as to detest being treated as a mere toy. The characters are sketched with staggering detail. Reynolds is shown as the most sophisticated and refined in his mannerisms and speech. He lives and works in the same house and goes about his job in the most orderly manner. There is a distinct orderliness even in the way he walks and has his breakfast. But his ravenous appetite and rash driving, do sow some seeds of doubt in our mind. We are made to wonder whether all the sophistication is just a mask which would come off anytime. There could really not have been a better role for the incomparable Daniel Day Lewis to choose as his swansong. The actor, who is probably as obsessive to his craft as his character, plays Reynolds with masterly precision. But the film is by no means a one-man show. Rather it is the plucky and persistent Alma who turns out to be the most shrewd and manipulative of the three main characters. After Reynolds confesses that he believes that she is the one he has been looking for, Alma replies, “You found me. Whatever you do, do it carefully.” Though it sounds more like a romantic plea by a woman terribly in love, Reynolds later in the film realises that she meant it more as a warning. He may have single-handedly lifted Alma away from poverty and given her the luxuries of a charmed life, but she is strong-willed enough to ensure that he doesn’t take it away from her. Phantom Thread wouldn’t have been even half as impactful if Vicky Krieps hadn’t held her own against the most formidable acting partner imaginable. She certainly gives one of the better performances of the year, the Oscar snub is quite shocking. Most of the devilishly funny humour in the film comes from the scenes involving Cyril (Lesley Manville). She is quite adept at launching those little missiles from her mouth which hit where it hurts the most. In an early scene, she pleasantly surprises Alma by saying, “You have the ideal shape”, but immediately adds with a straight face, “He likes a little belly.” Cyril, who has always been the undisputed mistress of the house, feels intimidated by Alma. The turbulent relationship shared by the two women is another highlight of the film. The main focus of the camerawork is on extracting the most from these powerhouse performances by shooting mostly in close-ups. In another director’s hand such a setup would have turned bland, but the crisp shot, reverse shot editing makes these scenes so compelling that you cannot take your eyes off them. Shot mostly indoors, the desaturated colours and dimly lit scenes lend an eerie gothic atmosphere to the proceedings. The director also finds time for breathtaking shots of the ethereal garments that are being stitched for Reynold’s high profile clients. The film is worthy of a second visit to the theatres, if only to enjoy John Greenwood’s background score that envelops the entire film in its soothing embrace. So, Phantom Thread is a quintessential Paul Thomas Anderson work – an exquisitely crafted, densely layered film which cannot really be confined to one genre. The kind of movie that keeps lingering in your mind long after you have finished watching it. A repeat viewing would only make it better. Though less ambiguous than The Master, the film does demand some ‘work’ from its audience. But, trust me, you couldn’t have asked for a more rewarding pay-off. Thanks! I am glad it made you more curious about the film. I loved it, was an interesting one.